Local, Seasonal, Fresh. Where does our food come from? Drive 30 minutes south to an island called Wadmalaw to find nature’s bounty. One of Charleston’s most hidden gems lies through a wooden fence on a dirt road on Black Pond Road. 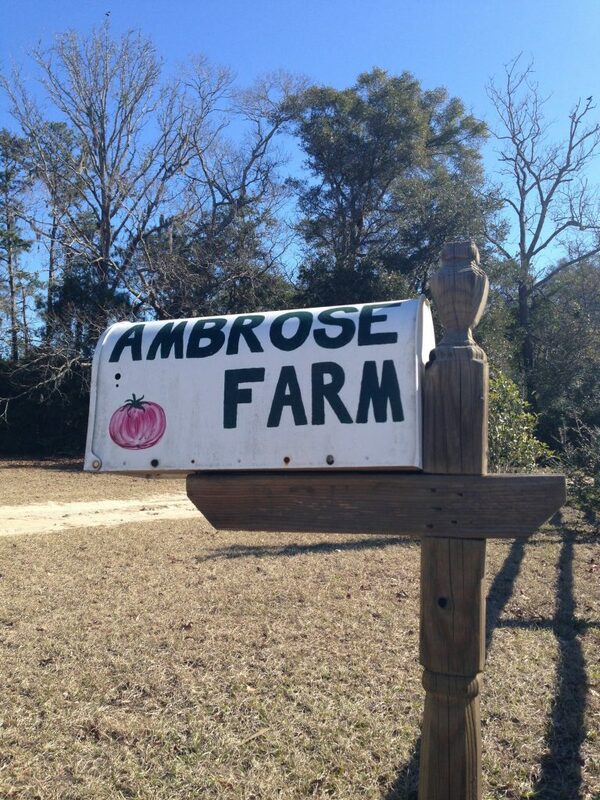 For 25 years, these 130 acres have been home to Pete Ambrose and his farm. The rows of citrus trees, the hundreds of sprouting bulbs, and the sounds of tractors are unmistakable. Farming has been his life for nearly half a century. Getting to know Mr. Ambrose was truly eye opening. The passion and enthusiasm he spoke with about what he does was contagious. The hours, the steps he takes to walk from seed-to-seed, tree-to-tree, plant-to-plant are both calculated and precise, observing and annotating exactly what is taking place underground. Nearly twelve hours a day, seven days a week, 365 days a year, he and his team are tirelessly out there working. In fact, only twice in the last 25 years have conditions been so bad he’s had to call them off. No two days are exactly the same, he explains, the temperature, humidity, precipitation, they’re all ever-changing. From day one till now, I haven’t stop learning. Battling Charleston’s weather, as I’m sure you can imagine, is hardly an easy task. From the frigid winter nights to the excruciating summer days, the challenge is one that Pete and his staff meets head on. To say they have won as often as they have lost is a feat in itself, and it’s something proven through his farms longevity. Every plant, everyday, doesn’t stop growing; to be successfully farming for forty plus years we’d say he’s doing all right! Staring across his farm, the vast expanse of land seems to be made small by the thousands of growing plants. The trees in the distance look miniature, and it seems as though you could drive for hours via tractor and never reach the other side. With that said, Mr. Ambrose and his team find a way to tend to every inch. His farm has made a push within the last ten years to implement the practices of farming organically, thus using as little fertilizers and pesticides as possible. As Mr. Ambrose put it, it’s hard to teach an old dog new tricks. Albeit gradual, the application of such tactics has not only taught him new ways to harvest, but has also given his plants a healthier, fresher taste. The Salthouse menu is rich with items from Ambrose Farms. Depending on the season, we source as much of our produce from Pete’s farm as possible. From passed canapés to hors d’oeuvres displays, dinner buffets and beautiful plated dinners this local produce makes us proud each time it graces a plate. Chef Todd Mazurek and Salthouse are incredibly fortunate to have Ambrose Farms as a supplier. In fact, we think of Pete and his team as partners. The hard work, dedication, and passion they all show everyday is contagious, and only works to benefit the culinary industry, the city of Charleston, and its many amazing people. Next time you’re at the grocery store, thank those who really deserve it.